Après cinq ans et plus de 50 épisodes, la scénariste G. Willow Wilson quitte la série Ms. Marvel. 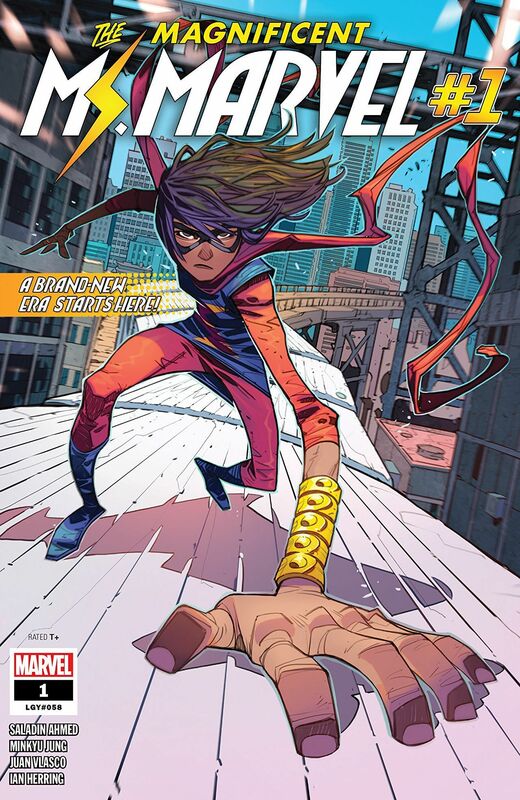 Les aventures de Kamala Khan seront relancées au #1 en 2019 sous le titre The Magnificent Ms. Marvel, avec Saladin Ahmed (Exiles, Miles Morales : Spider-Man) au scénario et Minkyu Jung (Nightwing) aux dessins. 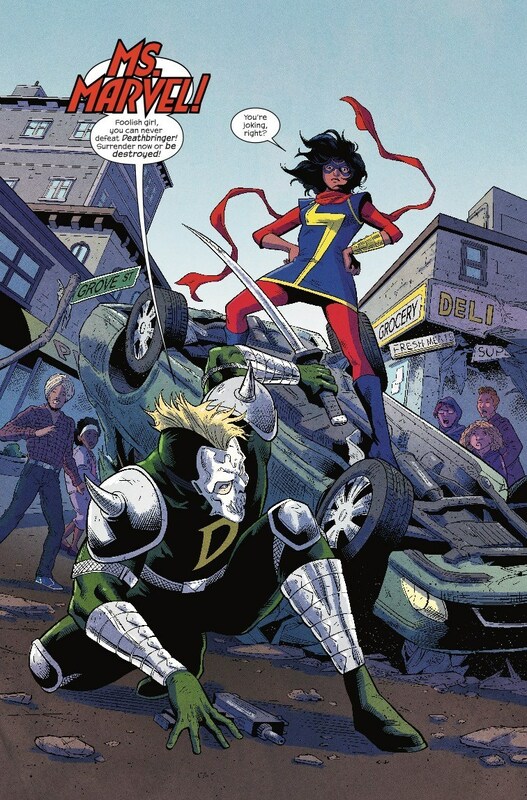 MS. MARVEL IS BACK! But it’s not business as usual in Jersey City. 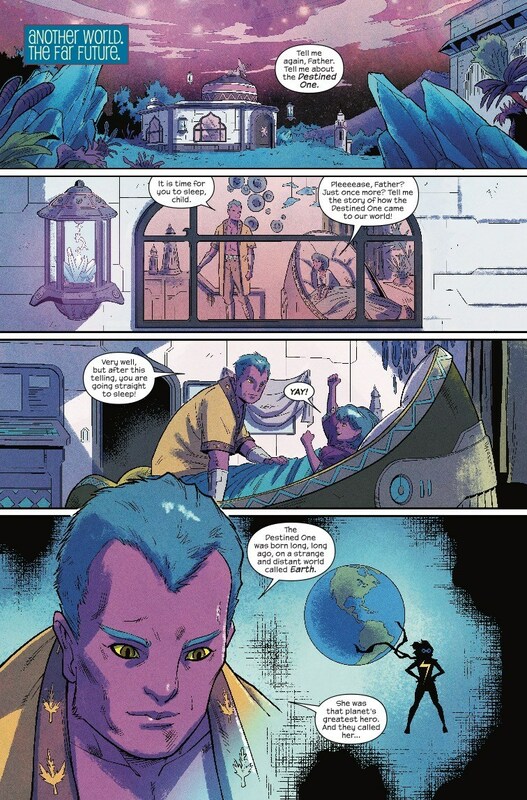 Aliens are wreaking havoc in Kamala’s corner of the world, and they seem weirdly interested in Ms. Marvel…and her family. 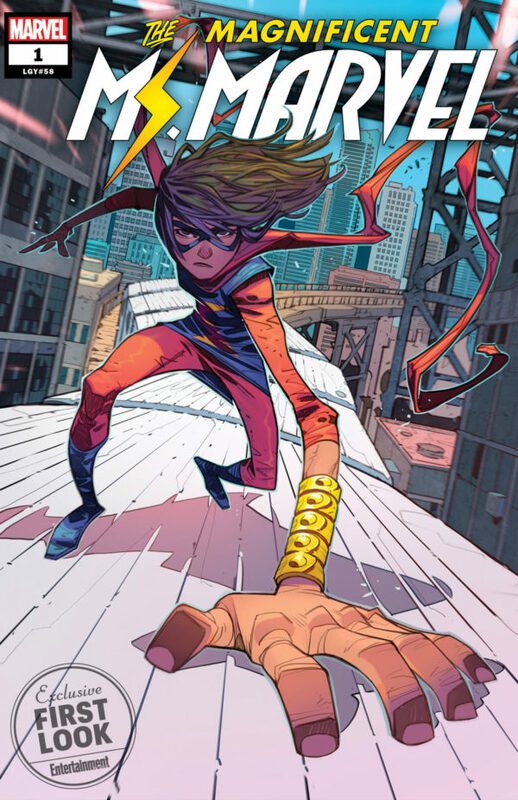 Eisner Award-winner Saladin Ahmed (BLACK BOLT, EXILES) and rising star Minkyu Jung (Batgirl, Nightwing) take the reigns of one of Marvel’s most beloved new characters! You won’t want to miss this shocking start of a new era! Je regarde le nom de l’auteur de la couverture, Eduard Petrovich, ça ne me dit rien du tout, mais son illustration est vraiment catchy !